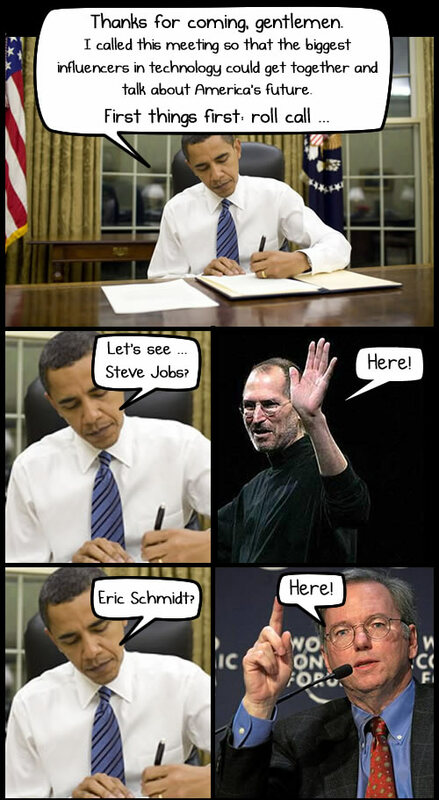 Tonight Obama is meeting with Steve Jobs, Eric Schmidt, and Mark Zuckerberg. There’s been a lot of speculation about what they’re going to discuss. Here’s what I think.